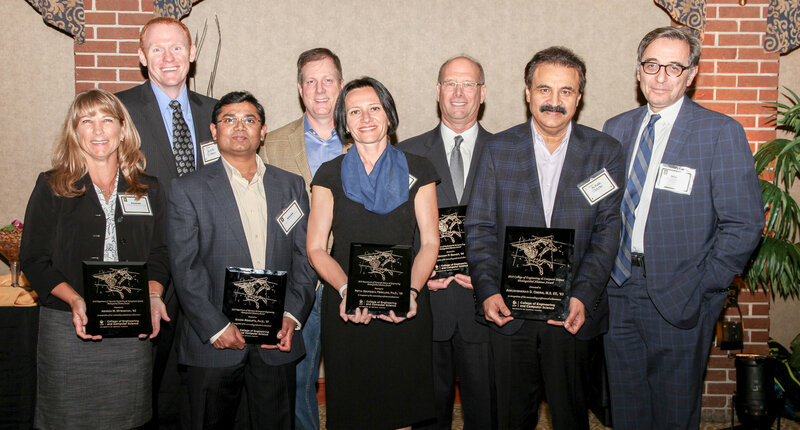 Synopsys executive Ankush Oberai, ‘83, alongside a group of six other distinguished engineering alumni, were recently honored at the UCF Engineering and Computer Science’s 2018 Alumni Honors Reception. The ceremony, hosted by Ricky Ly, ‘08, honored Oberai, Senior Director for Research Development, Synopsys Inc., with the Distinguished Alumnus Award – the college’s highest honor given to alumni. The technology entrepreneur found success early in his career through the invention of several patents and hard work at a semiconductor software start-up company first known as Knights Technology. The software revolutionized the failure analysis market segment to a multibillion-dollar industry due to its automation capabilities. In 1995, Oberai invented a product which brought a new wave of manufacturing improvement in productivity and cost savings – and it became an instant success. Over the years, the company underwent several investor acquisitions and continues to grow and maintain market leadership under Synopsys, a company that provides products and services that accelerate innovation in the global electronics market. 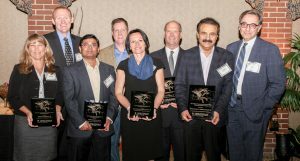 In addition to Oberai, six successful alumni were honored from each of the college’s academic disciplines for their superior professional contributions and unwavering dedication to their alma mater. Jeremy Dilmore, ‘02, ‘05, serves as the Transportation Systems Management and Operations Engineer for the Florida Department of Transportation District 5 and Chairman of Central Florida Automated Vehicle Partners. Dan Schiappa, ’87-’90, is the senior vice president and general manager of products at Sophos, a security software, and hardware company. Shamik Sengupta, PH.D., ’07, CPE, is an associate professor in the Department of Computer Science and Engineering at the University of Nevada, Reno, and is executive director of UNR’s Cybersecurity Center. Amanda Mitskevich, ‘92, serves as the program manager of the Launch Services Program at NASA’s John F. Kennedy Space Center in Florida. Petya Georgieva Fernlund, ‘06, is the director for GP Strategies Corporation at Kennedy Space Center. Zachary Quandt, ‘84, is the director for GP Strategies Corporation at Kennedy Space Center and member of the CECS Industrial Advisory Board.